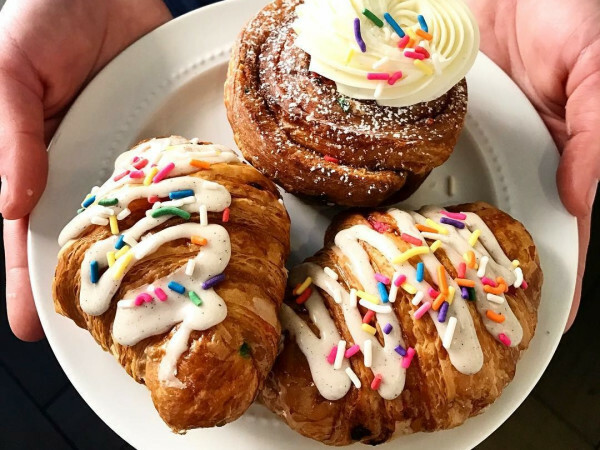 Two local businesses are joining forces this weekend for a sweet collaboration that combines two essential food groups: ice cream and macarons. Cow Tipping Creamery, the Austin-born company that specializes in unique flavors of soft-serve ice cream, is serving a cone that's both inspired by, and topped with, a Joy macaron. Joy Macarons, the Dallas-based cookie company that just opened its second branch on Greenville Avenue, will sell a special flavor inspired by Cow Tipping's signature sundaes. Both items will be available this weekend. Their theme is tea. 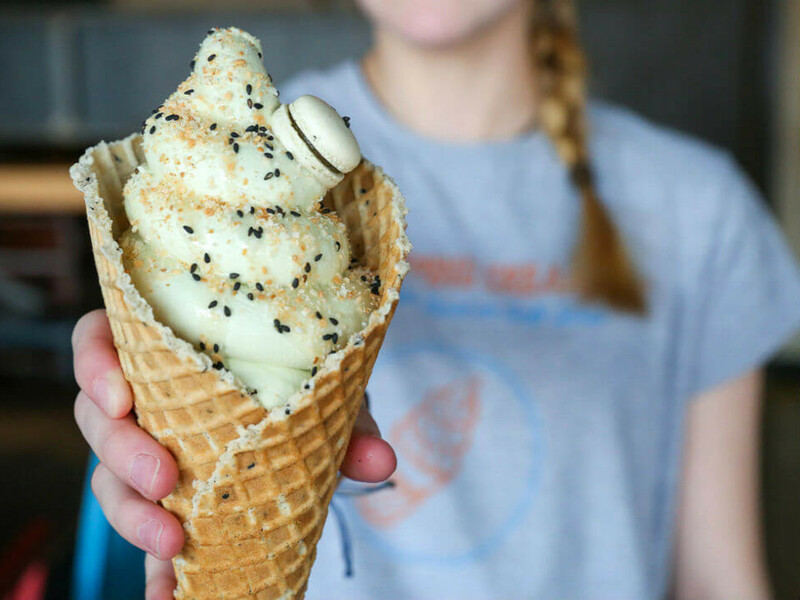 Cow Tipping, located in Good 2 Go Taco in East Dallas, is doing matcha green tea soft-serve ice cream, one of its trademark flavors, in a black-sesame waffle cone, with white chocolate sauce, toasted coconut dust, black sesame seeds, and a black sesame mini-macaron made by Joy Macarons. Joy Macarons' treat is inspired by Cow Tipping's flavors and ingredients. It features a macaron with Earl Grey ganache and lemon curd, sprinkled with honey "dust" (dehydrated honey powder). "We took all the ingredients that Cow Tipping has used in previous sundaes," says Joy Macarons founder Liz Lanier. This is not the first collaboration she's initiated. "We previously collaborated with Emporium Pies, where they had a pie with one of our macarons on top," she says. "But I love Cow Tipping's product. I think they're doing something cool with soft-serve ice cream. 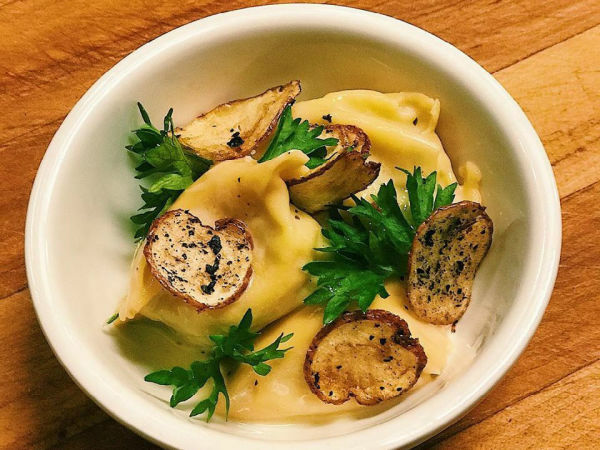 They have good combinations of flavors that I really like and identify with." Collaborations not only result in special treats, they foster a sense of community, she says. "It's a fun way to meet people who are doing the same thing you are, and by that, I mean small business owners who are trying to do something artisanal," she says. "I liked getting to know Corey Sorensen, who co-owns Cow Tipping. Collaborations are especially fun with desserts. Joy Macarons does some ice cream sandwiches, so we know that cookies and ice cream go together."